* You may order less than the 10 piece minimum, but when doing so there we will add Actual Freight Charges due to the size of the item. Please call us at 1-800-419-1130 and we will be happy to assist you! 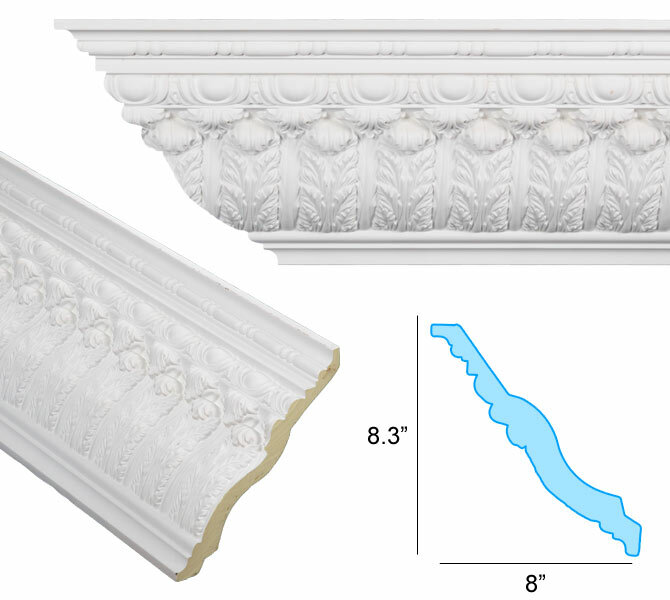 Make sure the size and style of crown molding is a perfect match for your project. At only $3.00 per piece including fast, free shipping, these 10" molding samples offer the most affordable way to try before you buy. To assist you we have produced these easy to follow online instruction guides: How to Install Crown Molding and How To Cut Crown Molding . For additional installation assistance please contact our knowledgeable and friendly support staff. Crown Molding Blocks work with our small to medium size moldings. 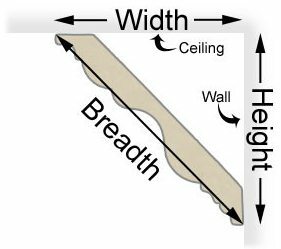 Precut Molding Corners (recommended only for plain crown molding).